Syrian government forces have taken back key areas in the coastal province of Lattakia, reported Fars on Wednesday. The Syrian army and allied popular defense groups regained control over key areas in Latakia on Wednesday, reported Iran's Fars news agency. "The Syrian Arab Army’s 103rd Brigade of the Republican Guard has gotten off to a fast start this week, capturing several key regions from the Al-Nusra Front, the Free Syrian Army’s 'Liwaa Suqour Al-Ghaab,' and Harakat Ahrar Al-Sham terrorist groups in northeast regions of Latakia province." 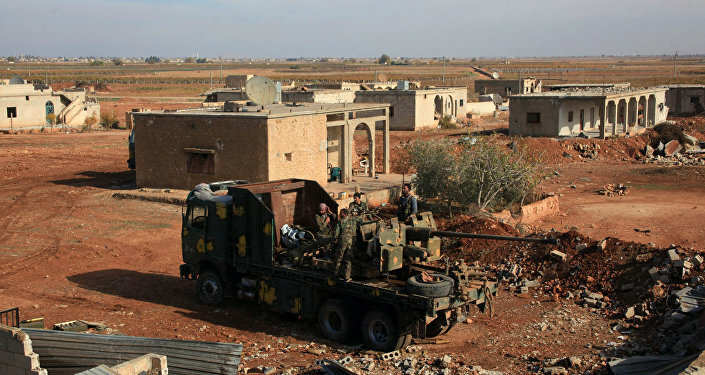 Syria's National Defense Forces, the Syrian Social Nationalist Party and Syrian Resistance also took part in the offensives against terrorists in the northern countryside areas of Latakia. "In a matter of four days, the Syrian Armed Forces have seized over 100 square kilometers from terrorists in Northeastern Latakia; this is likely to increase in the coming days as the pro-government forces eye the rebel stronghold of Salma," reported Fars. ​The offensive from Syrian government forces in Latakia was aided by airstrikes from the Russian Air Force, which also targeted terrorists in Aleppo, Idlib, Hama and Homs.